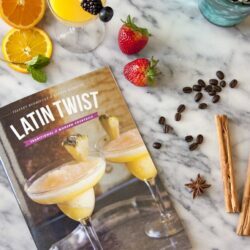 This is a recipe I have wanted to develop for a while, but was waiting for the perfect occasion and Cinco de Mayo is the perfect date. 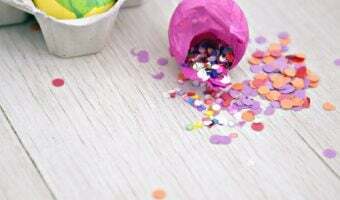 We plan to celebrate — not so much because of Cinco de Mayo, but because on this day my son will receive his First Holy Communion and Confirmation. My mother, brother, and sister-in-law are all coming into town and I can’t wait to see them all and rejoice. 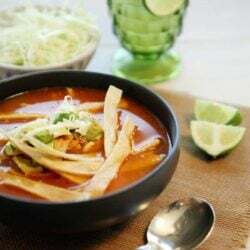 If you are hosting a fiesta and want to set up a taco bar with minimal toppings and let your guests self-serve themselves, than this is the perfect filling. 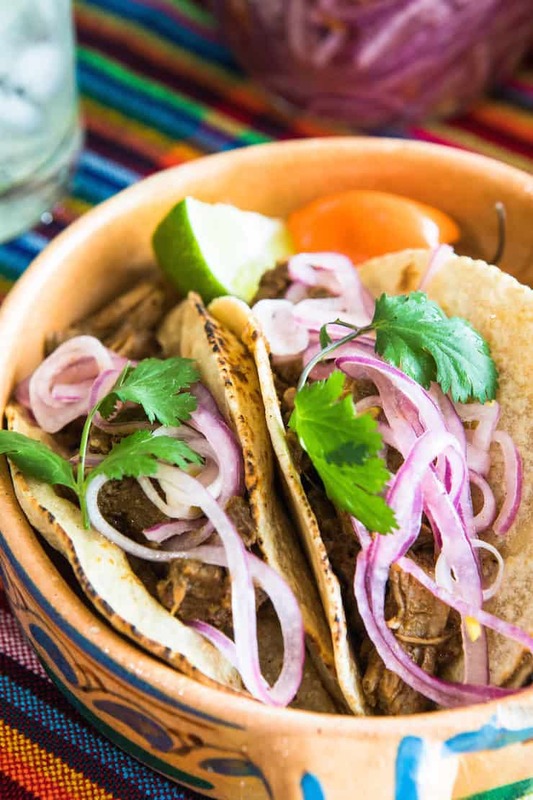 This is called cochinita pibil, and is a Yucatán-style slow cooked pork. Cochinita means, “baby pig,” and Pibil in Mayan means “under the ground” referring to the cooking method that the Mayan developed. Traditionally, a whole pig is wrapped in banana leaves for an added dimension of flavor and then buried in a pit with a fire at the bottom. 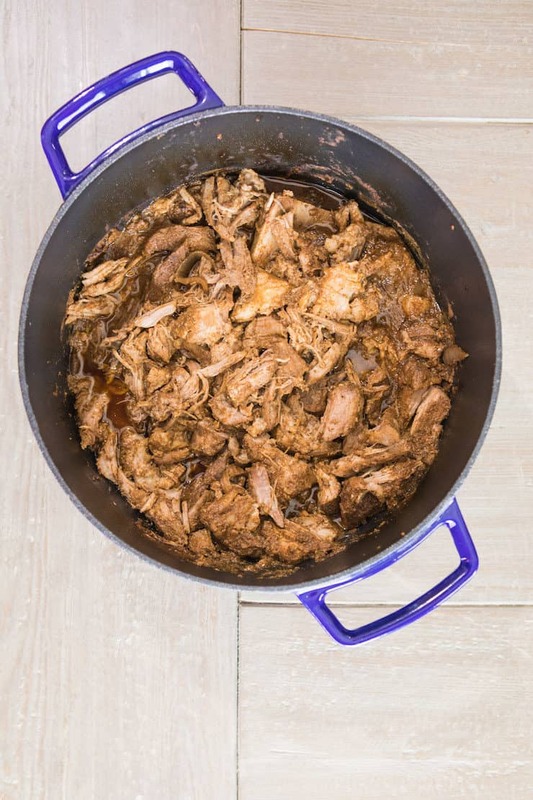 For those of us who don’t have acres of land and don’t want to freak out the neighbors, then this easy cochinita pibil recipe is for you. I opted to cook this pork in a cast iron stockpot in the oven. This recipe is made with pork shoulder bone-in for additional flavor. 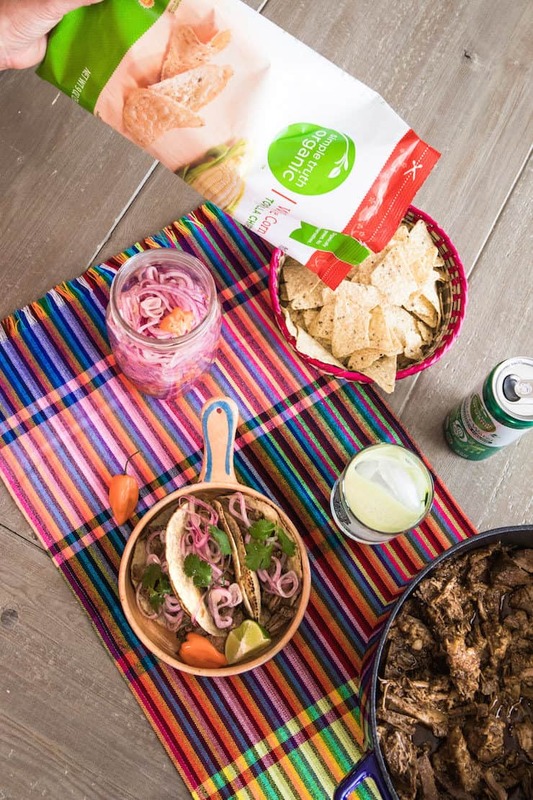 The classic marinade for this pork is made with achiote or annotto, which are colorants that includes herbs and spices giving the pork a bright red tinge and a citrusy earthy flavor. I was unable to find achiote or annatto at my local King Soopers, part of the Kroger Family of Stores so instead I made my own spice mixture. The whole spices I selected for this recipe are readily available. 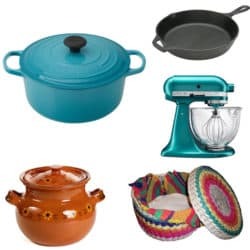 I have linked the spices below for easy shopping. 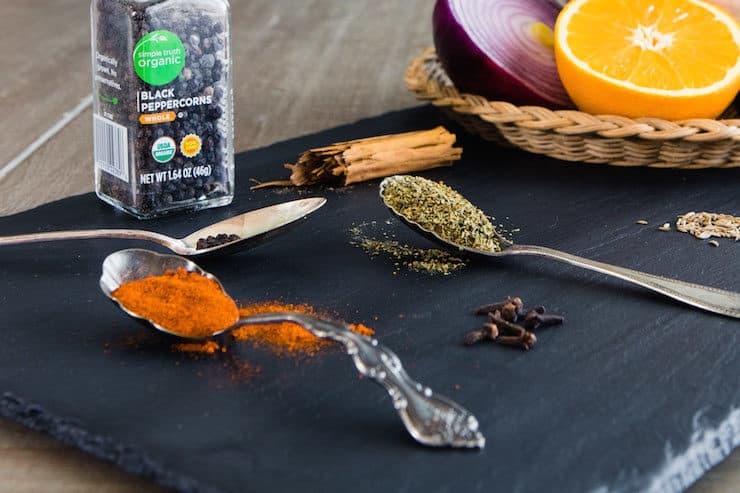 Grinding spices is so aromatic and gives them an added burst of intense flavor that is magical. Once the spices are crushed then all you have to do is juice fresh oranges and limes, add chile powder, garlic cloves, onion, and the spice mixture to a blender and pour the spicy and citrusy marinade over the pork. I marinated the meat overnight, but being that there is so much liquid — marinating isn’t even necessary because the flavors will infuse while it cooks. I cooked the pork low and slow and after three hours the meat was falling off the bone and ready to be shredded. This pork has the perfect amount of seasonings. 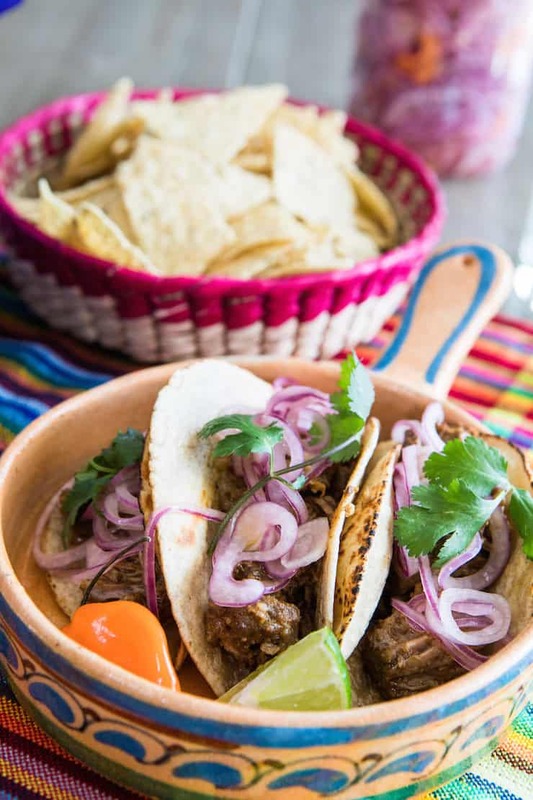 The tender and juicy meat gets shredded and folded into warm corn tortillas, then garnished with pickled red onions with slices of spine-tingling habaneros. For an added boost of spice drizzle your favorite hot sauce over the tacos. 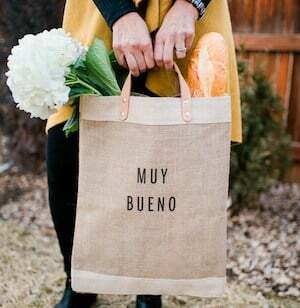 Set out some tortilla chips and your choice of beverages and you have a fiesta! 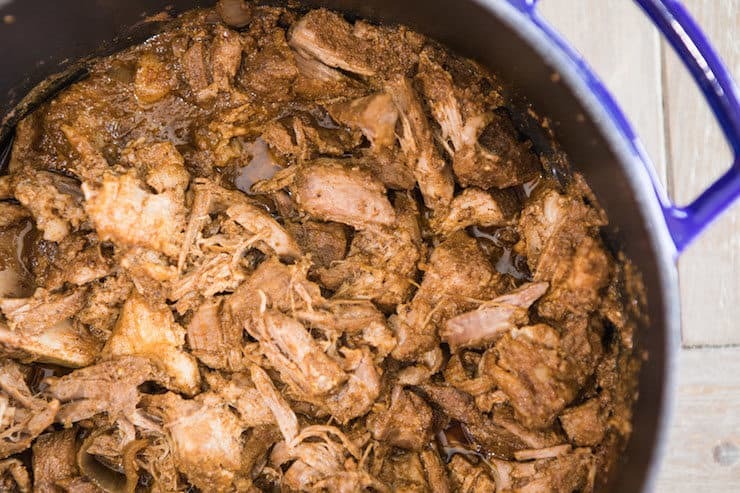 This Yucatán-style dish is prepared in a Dutch oven and pops with aromatic spices and citrus juices, yielding a luscious, spicy pulled pork. 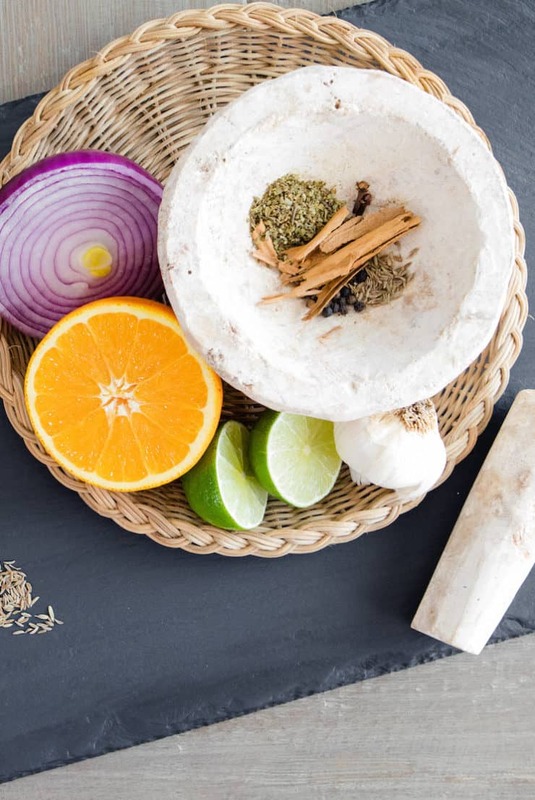 Place oregano, cloves, cinnamon, peppercorns, cumin, cinnamon, and salt in a mortar and crush with a pestle until pulverized. Set aside. 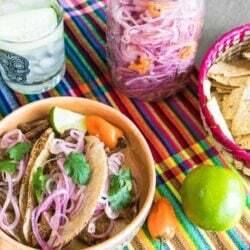 In a blender add garlic cloves, orange and lime juice, ¼ of a red onion, and spice mixture; and blend until puréed. Place meat in a glass container and pour the marinade over meat. Massage marinade so that the meat is well covered. Place remaining onion slices and bay leaves over meat. Let stand at room temperature for 30 minutes or cover tightly and refrigerate overnight. 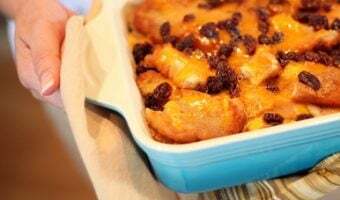 Remove the meat from glass container and place meat in a dutch oven. Cover the meat with lid before baking. The meat should be very tender and fall apart easily when pulled with a fork. If not, return to the oven and cook until tender. Shred meat when done. 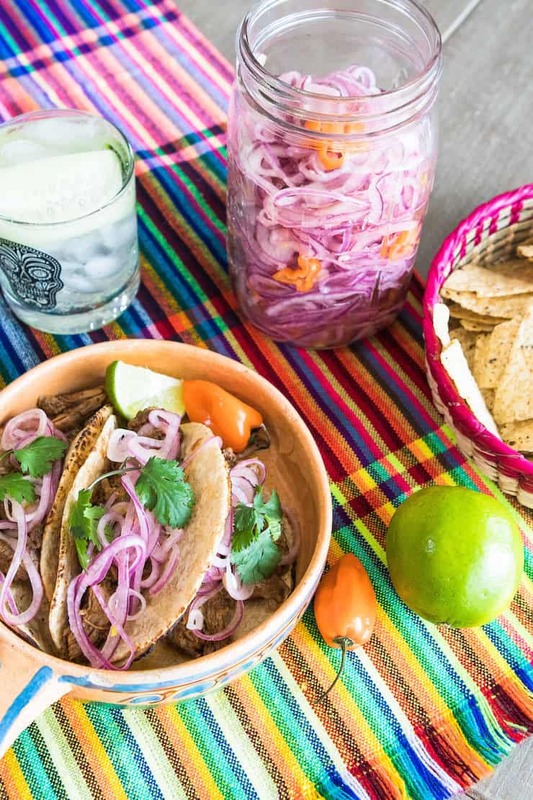 Serve the cochinita pibil with warm corn tortillas and eat taco style. Don’t forget the pickled onions. While the meat is cooking, prepare the onions. Place the onions into a glass bowl. Pour enough boiling water to over the onions, wait one minute, then pour the onions into a strainer. Return the drained onions and slices of habanero to the bowl and add the lime and orange juice and stir in the salt. Cover and set aside until serving time. This was AMAZING. Way better than what I was making before. Thank you for the delicious recipe! Love it! I’m going to try. 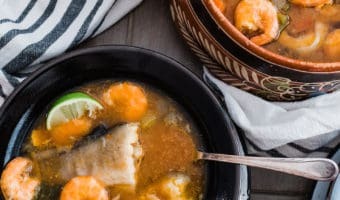 Lived in the Yucatán, and miss this dish so much!